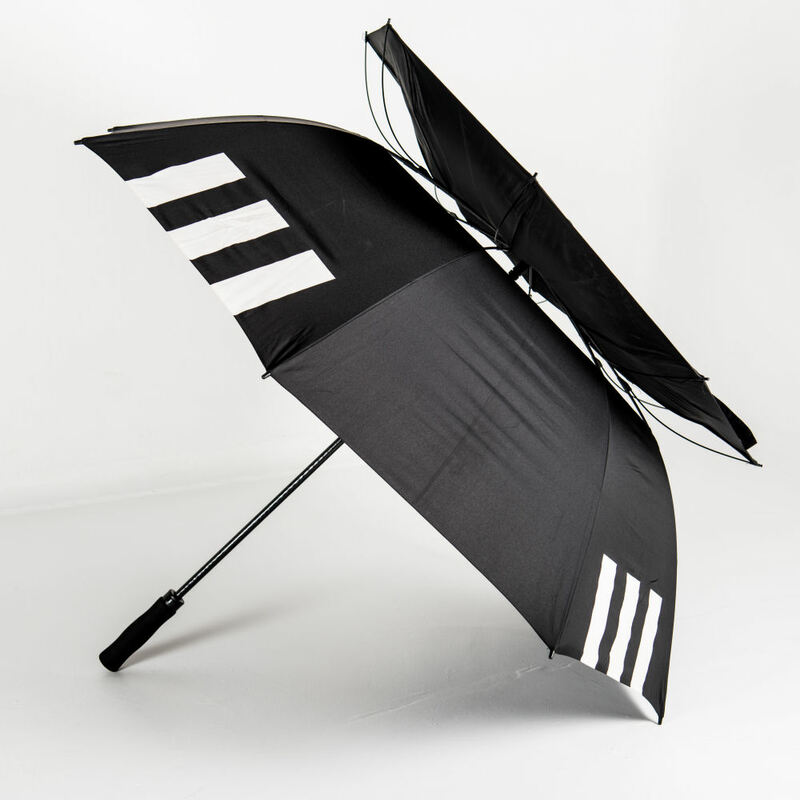 This is a neat little budget Golf Umbrella that has a easy to use automatic open and close system. 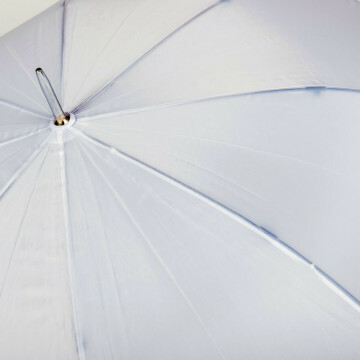 Ideal if your budget is tight or looking for something that will be used for a short time period. 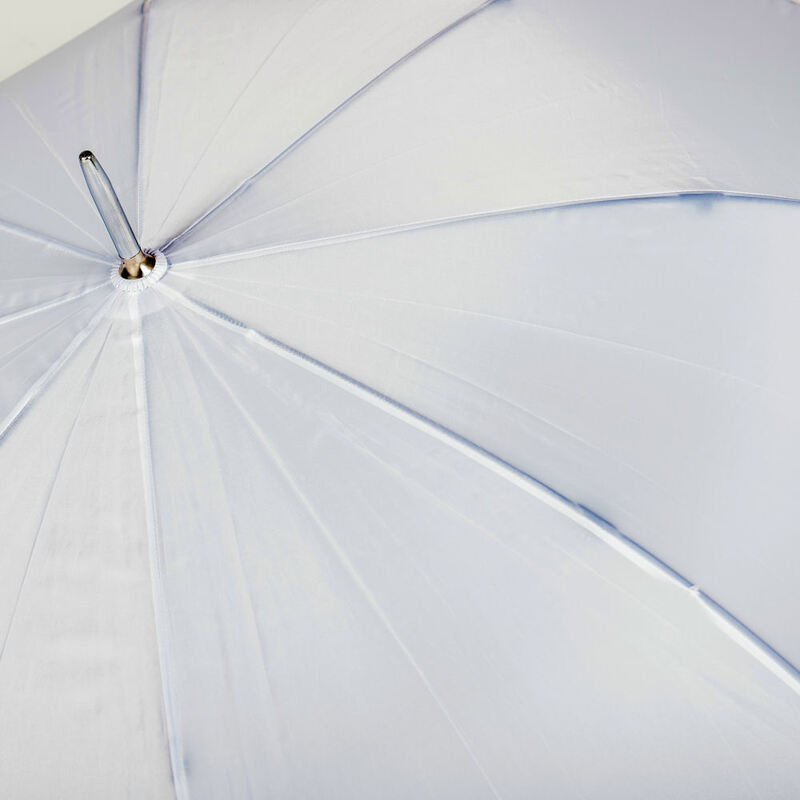 The Umbrellas & Parasols Budget Automatic Golf Umbrella is a traditional golf umbrella and has a large canopy with 8 panels for your logo and branding. Its height when closed is perfect for propping the user the up so it great for sporting events or events where there is a lot of standing around. 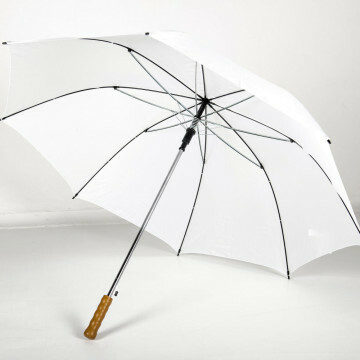 As standard, it comes with a plastic handle in a choice of colours for a sporty look, or you can go for a classic wooden Milan style. 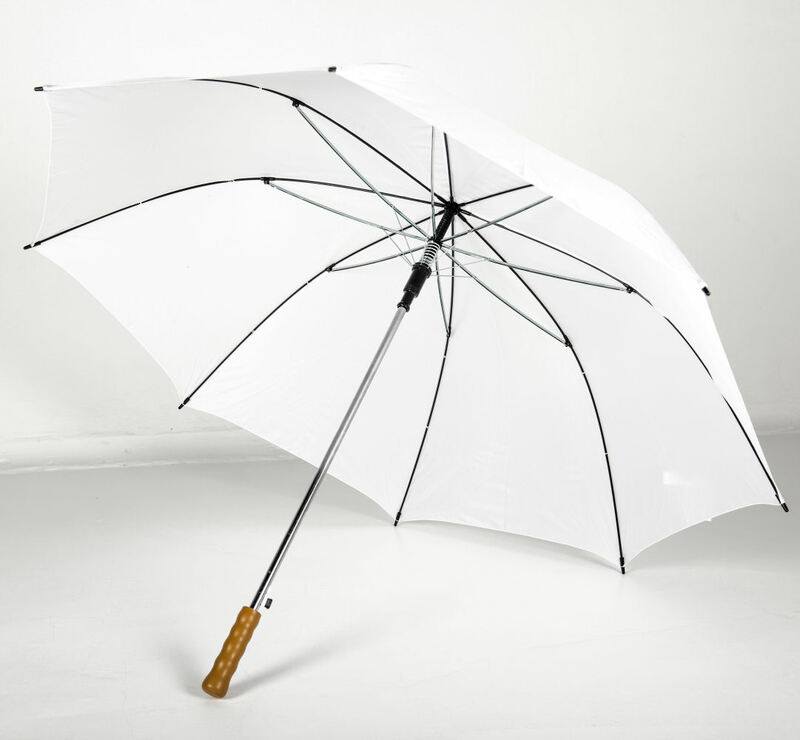 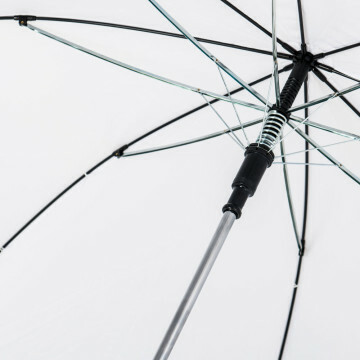 The Umbrellas & Parasols Budget Automatic Golf Umbrella has standard metal double fluted ribs, a velcro tie wrap and a plastic end cap. 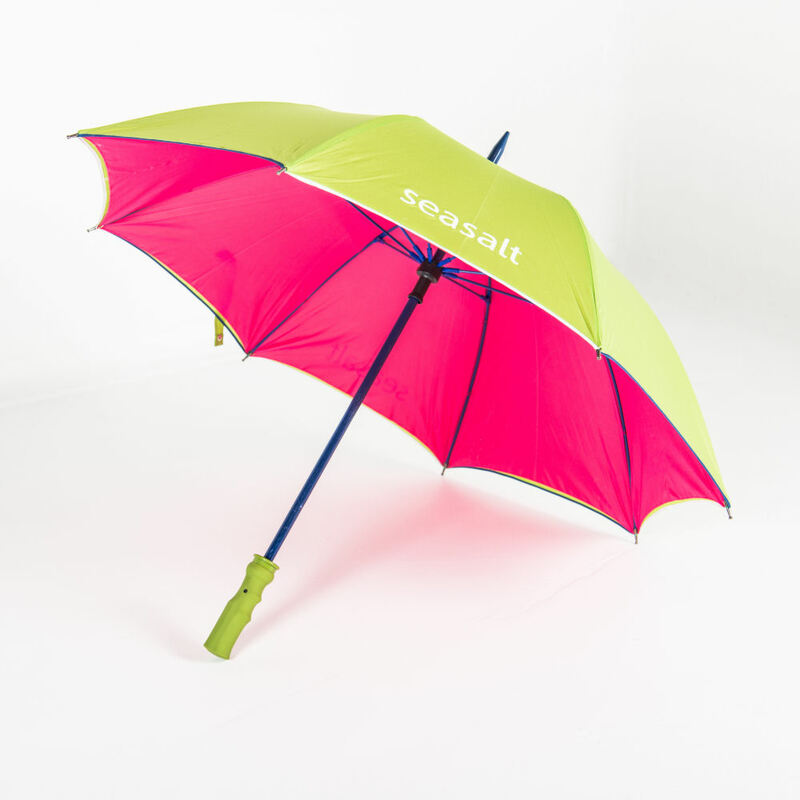 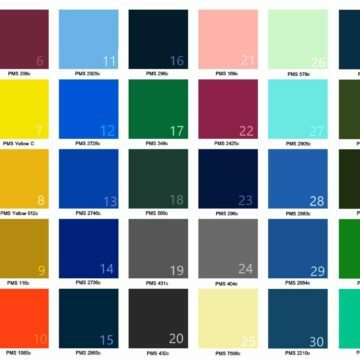 Why not take a browse and see what finishes and printing techniques you could adopt to therefore make your set of branded umbrellas truly stand out from the crowd.